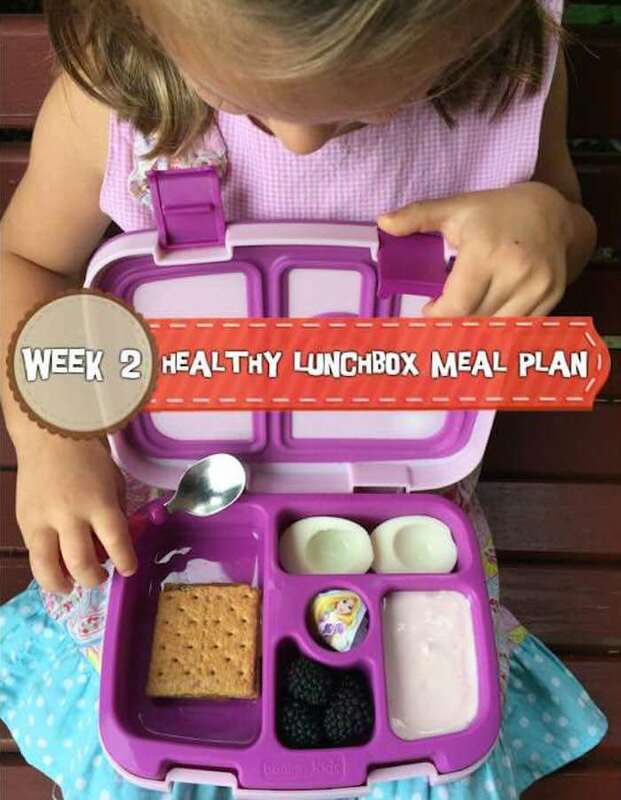 A week of delicious, easy, and healthy lunchbox meal plans that are perfect for your preschooler or elementary school child with options to modify for a toddler-friendly lunch. 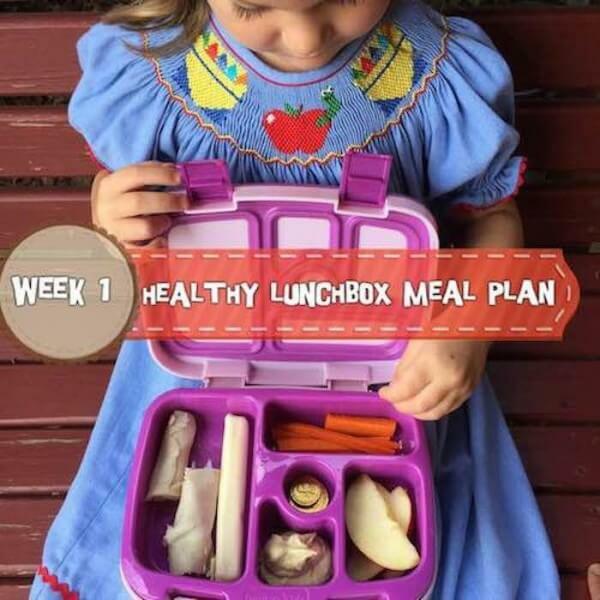 Frances starts school tomorrow so she is helping me debut this week’s healthy lunchbox meal plan. She is actually showing Ellie’s lunch (so, shh…don’t tell Ellie she took a few bites while I was trying to snap this picture). 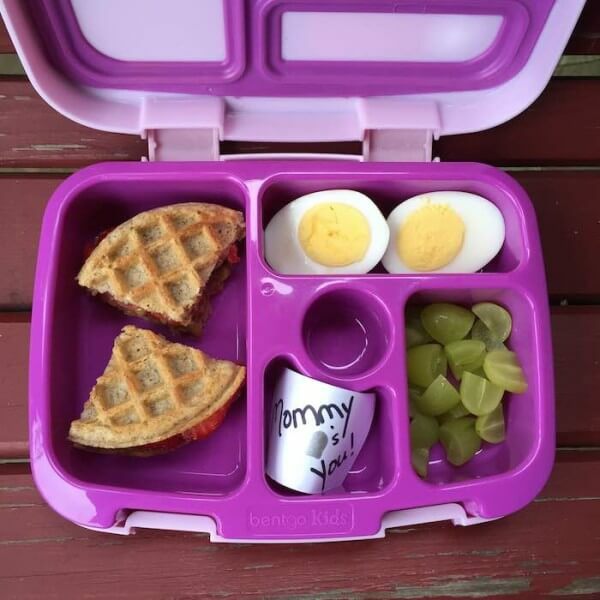 Now that I’ll be sending 2 lunches each day and because the girls don’t always love the same foods or need the same quantity, I’ll make sure to include any notes on the meal plan. 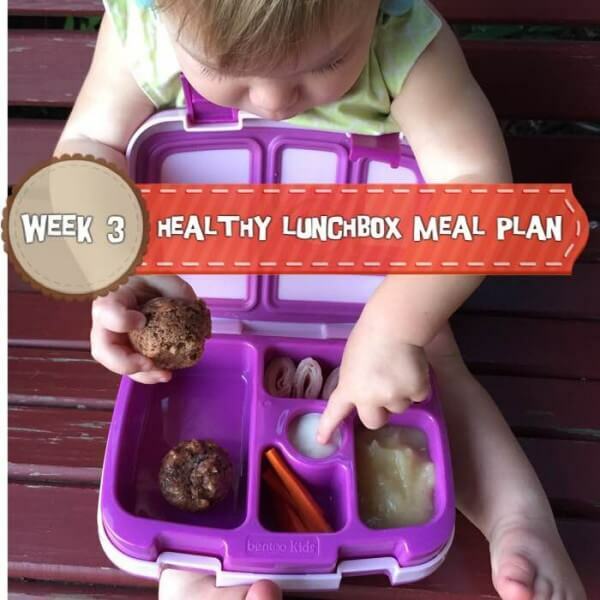 I’ll also include any preparation methods that are friendlier for toddlers. 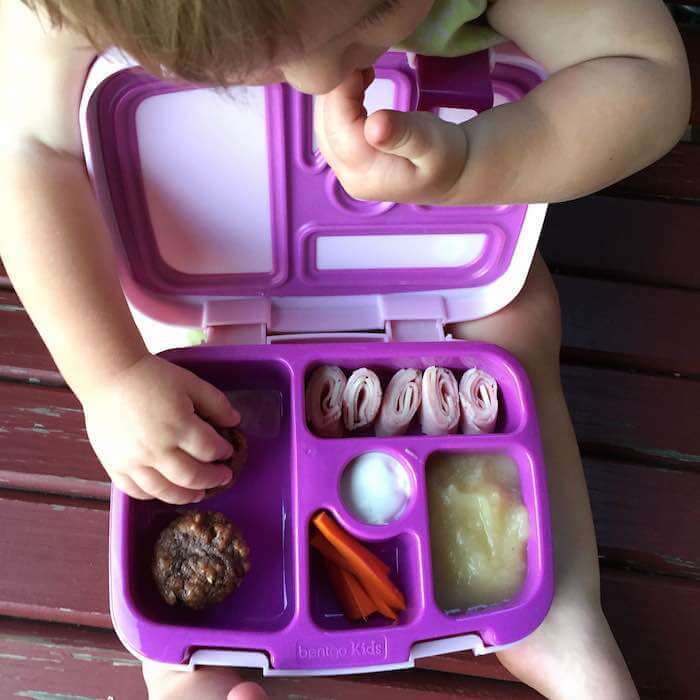 For example, Frances’s carrots tomorrow are steamed versus raw because raw carrots can be a choking hazard. Have a fun short week of school! Thanks so much, Tara! 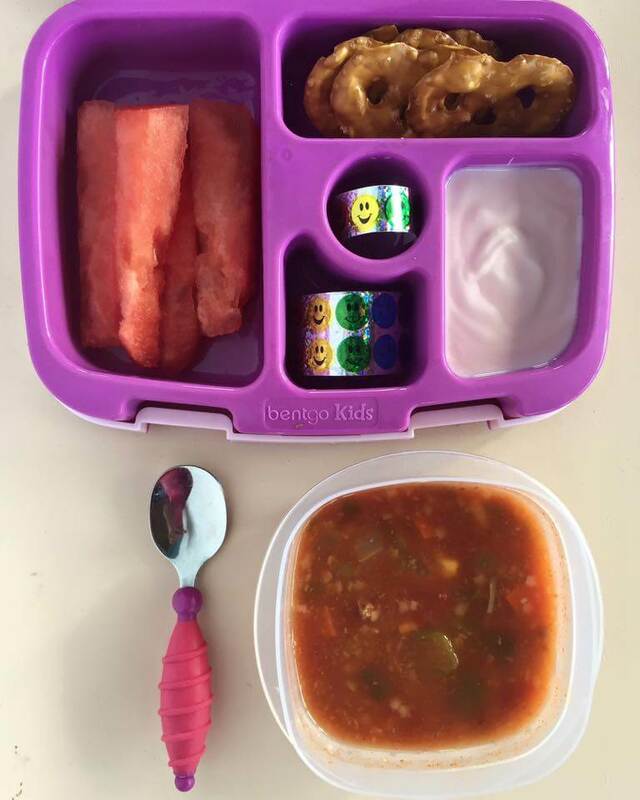 Yes, these containers definitely help with portion control!